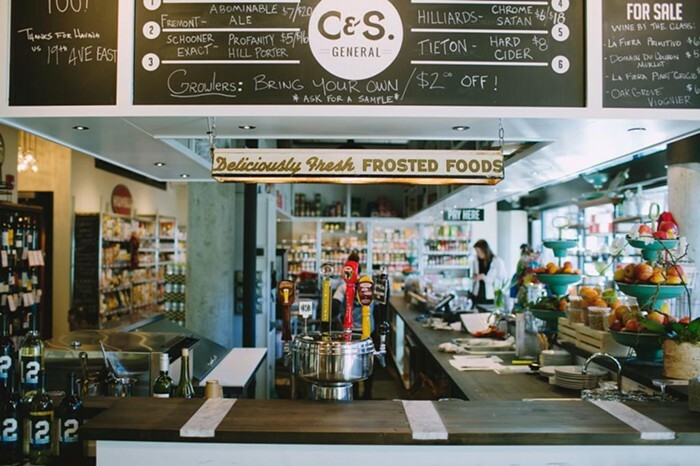 This market specializes in local foods, flowers, coffee, kombucha, and beer,. You can hang out on their stoop with something tasty to go. Happy Hour Mon-Wed, Sun 5-7 pm ($1 off pints, $1 wine, $2 off growler fill-ups).